Looking to distinguish your facility from the competition? Customer reviews may be exactly what you need. Understand the logic behind reputation management and why it’s important to respond to reviews. 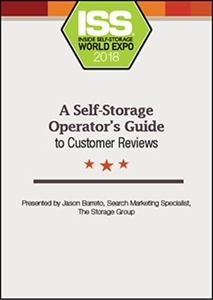 Looking to distinguish your self-storage facility from the competition? Customer reviews may be exactly what you need. According to a survey conducted by marketing firm Bright Local, 88 percent of respondents trust online reviews as much as a personal recommendation. Understand the business logic behind reputation management and why it’s important to monitor and respond to reviews of your business.